The Gazette notification on the 19th Amendment to the Constitution has been published today. Last Sunday the cabinet decided against the complete abolition of the Executive Presidency as promised in the election manifesto, and instead decided to gazette a diluted pruning of Executive Presidential powers. The decision was taken at the meeting of cabinet ministers this evening with the participation of President Maithripala Sirisena. 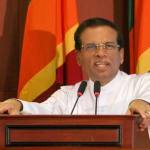 Dear President, When will you put Mahinda Company behind bars? As a person who has advocated the Executive Presidency in a more benign form, I am pleased that the office has been retained and defined to be the conscience of the country. In outline, it is what we need as a multi-ethnic and multicultural nation, mired in the swamp of majoritarianism. The president will be accountable to parliament and the cabinet of ministers will function independently of the president. The president is also obliged to ensure that all provisions in the constitution are implemented. I am also glad that the University Grants Commision has also been insulated from political manipulation in the constitution. I hope the mechanism to elect members of parliament will also be clarified soon. Former President Mahinda Rajapaksa has decided to contest for the post of Prime Minister under the Sri Lanka Labour Party at the next Parliament elections. Labour Party leader A. S. P Liyanage said that the former President had talks with his party on the matter and has also gathered support for the move from some Sri Lanka Freedom Party (SLFP) members. Mahinda Rajapaksa had decided to contest under the Sri Lanka Labour Party after failing to secure the full support of the SLFP to be the Prime Ministerial candidate of the SLFP. A. S. P Liyanage, a leading businessmen in Sri Lanka, had contested past Presidential elections but had often used his time on State media during election campaigning to speak in support of the former President. 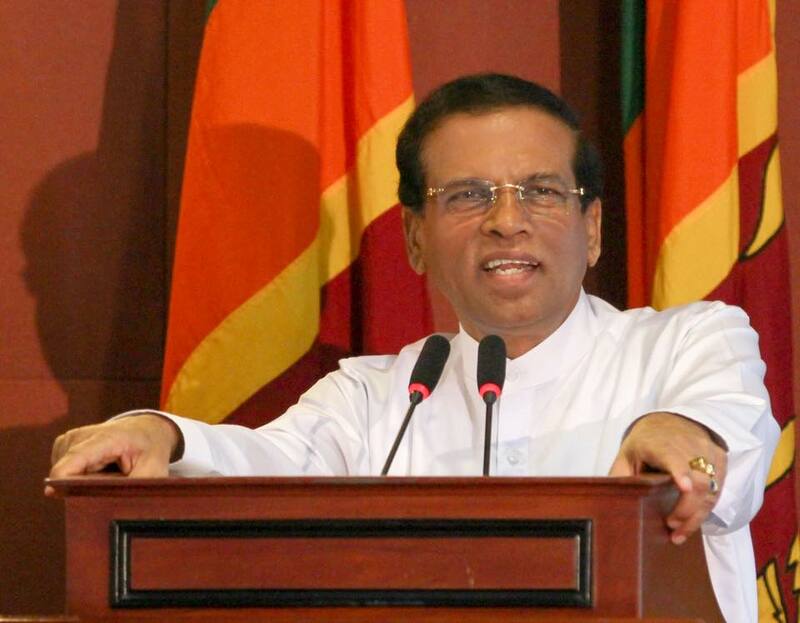 Rajapaksa was replaced by current President Maithripala Sirisena as the chairman of the SLFP following the January Presidential elections. (a) If a President holds an election after four years in office, and is reelected, will his or her second period of office start from the time of the second election or can that person continue for another six ( 5+1) years.? (b) Is it only the present President could function as the Defense Minister as per clauses 56 (a) in spite of President being declared as the Commander of the Armed Forces in clause 3 – 30(1).? (c) Is it only the present President could summon a Cabinet meeting to discuss matters of national importance as per Clause 56 (b) and not any subsequent President despite the President being the head of the Government.? (d) As appeared in another newspaper, what is the position if the ruling government becomes a minority due to defection to the opposition? Will they continue for the 4 1/2 years as they will not be able to get a 2/3rd majority for a dissolution. In such a case what will happen to passing new laws and budget etc.? Your first question is over-shadowed by a big “IF”. As to the rest, hope somebody knowledgeable in constitutional law and constitution of SL, would respond. Why not send and e-mail to the OPA? I have already spoken to one of the recent Past Presedents of the OPA and requested his assistance.